Featured on the front page of Apartment Therapy! My guitar was my great love from around age 10 until a few years ago, when a bum wrist forced me to hang it up. 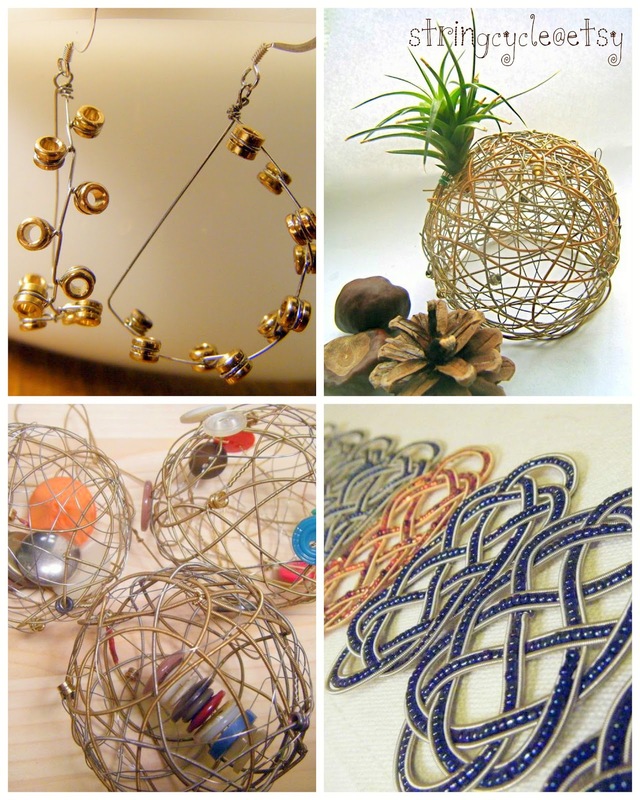 I know I've thrown out miles of old strings along the way - what did I know?! 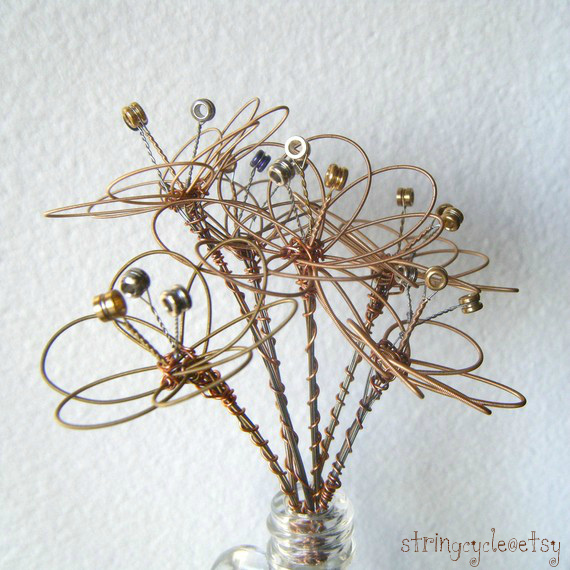 Anyways, when I stumbled upon Stringcycle about 4 years ago, I was smitten for obvious reasons... and my "musical bouquet" has been in a vase on my dining-room table ever since (these babies don't wilt!). On a whim, I asked Julia if she'd be interested in doing some kind of stringcycle demo for me. When she agreed I believe I did a little dance. So, I'm beyond excited that today, I get to introduce Julia Friend as my first-ever guest blogger.... and, along with you lovely folk, finally learn how to make her tuneful blooms!